2011: What?s On Your Resolution List? 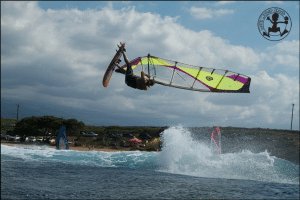 But most of us who have an action sport as a passion or obsession don&#8217;t typically have to deal with weight issues or huge negative lifestyle related ailments. Whether your passion is in the surf, on the motocross track or in the snow, what we&#8217;re probably resolving to do this year is a new trick, move or gain more consistency. There&#8217;s nothing like nailing that move you&#8217;re been trying what seems like forever. Hundreds and hundreds of attempts, bumps, bruises, blood, sweat, heaven-forbid concussions later, you launch and shut your eyes &#8212; bracing for what is certain to be another shellacking &#8212; only to find that you&#8217;re still upright! This is me eating it on my 473rd backloop attempt on Maui. For those of us who are able to escape injury during those hundred attempts can consider ourselves extremely lucky. The chances of mild to severe injury at our contact action sports (especially of the land variety) are quite significant. Significant that is if we&#8217;re not protecting ourselves adequately. Going for your goals, resolutions and dreams is what advances our lives, moves us forward, and ultimately makes us happy. It&#8217;s important to consider though, that if we&#8217;re sidelined with an action sports related injury, that advancement in our sport &#8212; whether snowboarding, skiing, motocross, mountain biking, whatever &#8212; stops for a while. Stay protected and shred on. R&eacute;gis fait du snowboardUploaded by Kozeii. &#8211; Watch more comedy videos and sitcoms. Check out the challenges and take home the ultimate bragging rights.